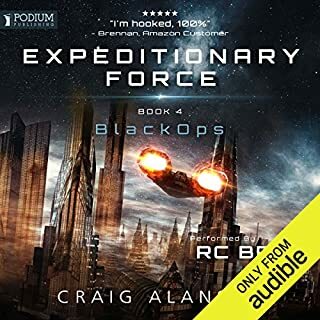 RC Bray does a great job of bringing the story and characters to life. 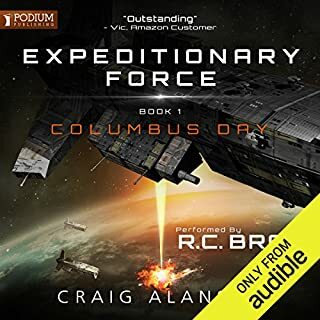 The entire audible series is really entertaining with good story, good characters and good pacing. Craig Alanson is one of my new favourite authors. Lots of exposition, but the story is good and the narrator doesn't take himself seriously and has fun with voicing the characters. Well worth your time. Made my commute fun.